So... Love Month this year didn't quite work out like I had planned. My initial plans were to read a lot more than I did but of course, life happened and got in the way. Or rather death did. My dad passed away at the beginning of February and not unsurprisingly I didn't feel much like reading or blogging. I still don't, not really. But things have to get back to normal eventually. So I thought I'd share with you some of my thoughts on the four books that I did read in February with LGBT characters or story lines. I really loved this one. Loved the main character's voice and this exploration of his past and his experiences coming out and being gay that is explored through a writing assignment. It's also hilariously funny and really not to be missed. I am so looking forward to the sequel, Honestly Ben, which was recently published. 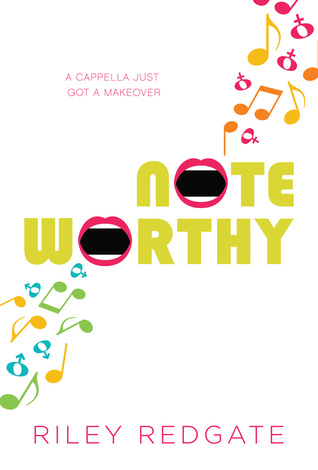 Next, I read Noteworthy by Riley Redgate and I couldn't have loved it any more than I did. ...I'm not entirely sure what put this book on my radar? Perhaps it was listed on a list of books containing bisexual characters? In any case, I decided that I had to read this book and I did and I loved it. It follows Jordan Sun during her junior year at a private performing arts high school. In order to save her place in this performing arts school Jordan ends up desperately auditioning for a men's acapella group just to keep steady. And she gets in which means pretending to be a guy. There was so much to love about this book. I loved the explorations of friendship, identity, sexuality and love. I thought the author wrote very well on the elements of coming from a poorer economic background, the fact that Jordan is Chinese-American, other members of the Sharpshooters being from diverse backgrounds, Jordan's father being disabled, Jordan's realisation of her own bisexuality. It was a book about a boarding school and friendship groups, getting over first heartbreak, becoming more confident in oneself, but also a really great look into gender roles and norms for both men and women. I loved it. Plus, a capella! 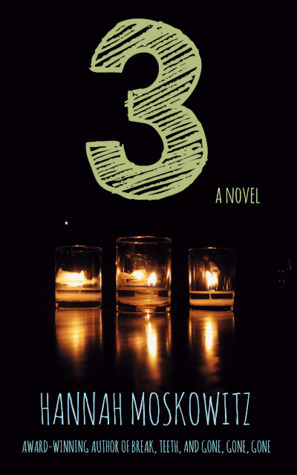 I'm not entirely sure what to make of Three by Hannah Moskowitz. I'd read other books by the same author before which made me take notice of this book. That, and the premise. 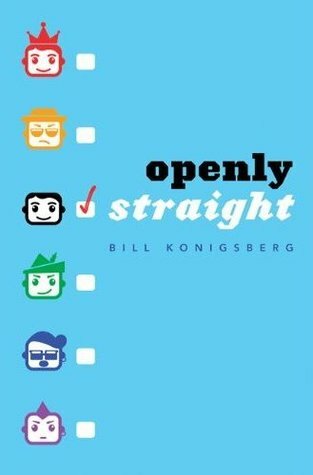 I'd never come across another YA book that dealt with polyamory as this book does. So I picked it up incredibly intrigued by the story line ... and while I do find it interesting that this book is available and all, I did feel some disappointment over it. There were quite a few typos and grammatical errors like it could been copy-edited better. But also ... it was pretty subtle. The story is that this girl moves some place new, and becomes attracted to this boy, he kisses her. Then she finds out that he is in a long-term relationship with another girl and that they are poly-amorous. The main character decides to give it a go at being in a relationship with him and also possibly her and that is the bulk of Three. ...if I'm honest, I wanted more. I had expected there to be a sexual relationship between the characters and there isn't. I expected there to be more of a connection between the two girls in this relationship ...but there really wasn't. So I finished this book and it was so decidedly ...average that I almost don't have much more to say about it? What I'd like to read is a book that isn't too afraid to go to places most YA books wouldn't go. And I felt like this book mostly played things safe. Which was therefore boring to me. Shame. 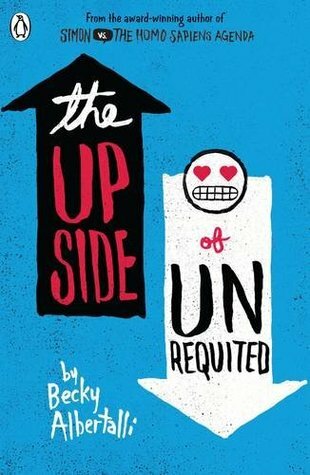 Finally, I picked up The Upside of Unrequited by Becky Albertalli. I loved the author's debut book, Simon Vs the Homo Sapiens Agenda about two boys falling in love and I had incredibly high hopes for this one... and while I did enjoy it, it didn't quite live up to Simon Vs expectations. This premise of this book centres around Molly, a girl who has a million unrequited crushes. She just never seems to take that step towards telling her crushes how she feels. That is, until her twin, Cassie meets a girl and introduces Molly to a cute new boy. Will Molly be woman enough to tell her crush how she feels?! So ... yeah. This book was cute, sure. And there;s plenty of diversity here, from sexuality and race and mental health. But I didn't really gel with the characters or the relationships. And in fact, I kind of hated how the author sort of stood on her soap box and ranted through the characters about a myriad of things... even when I agreed with the character's point of view I just didn't love the lecturing, self-important tone. And when the conversation about the social construction of virginity came about I just rolled my eyes. It was too much and there was no subtlety to it. It felt like being hit over the head with all these social messages and being scolded for outdated beliefs about sexuality and the rest of it. Have a message, sure. But don't be so patronising, please. Still. That isn't to say I didn't also enjoy the story. I just wished I'd have enjoyed it more than I did. 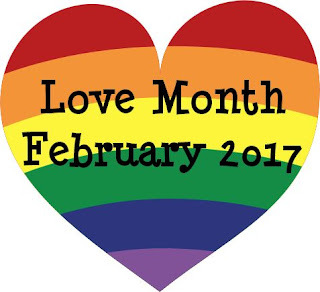 Have you read any great LGBT stories lately?